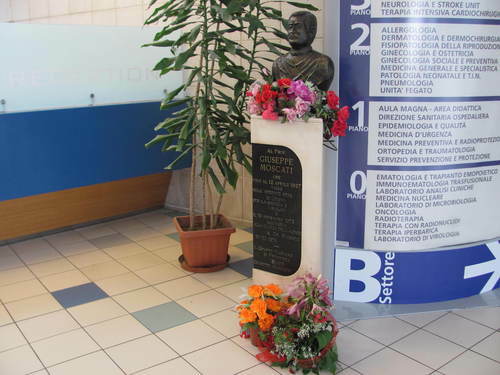 The plaque applied on the pedestal. 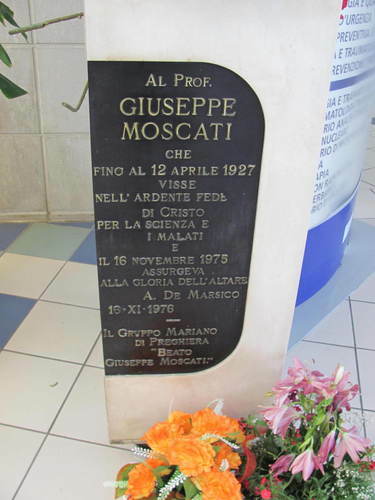 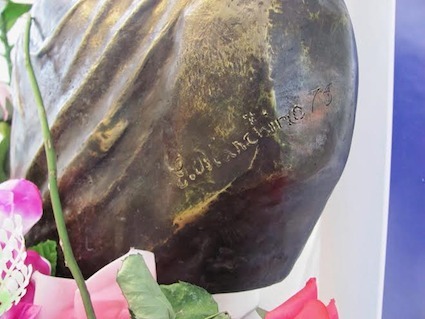 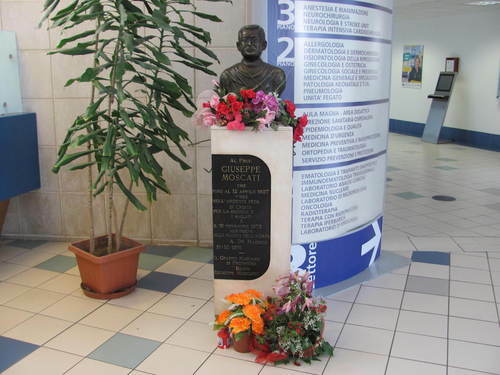 The inscription reads as follow: "AL PROF. / GIUSEPPE / MOSCATI / CHE / FINO AL 12 APRILE 1927 / VISSE / NELL'ARDENTE FEDE / DI CRISTO / PER LA SCIENZA E / I MALATI / E / IL 16 NOVEMBRE 1975 / ASSURGEVA / ALLA GLORIA DELL'ALTARE". 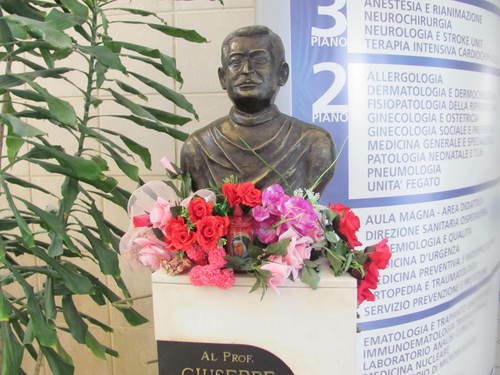 Photos, main text and page layout by Gennaro Giovine moc.liamg|enivoigoranneg#| and Mattia Iuliano moc.liamg|ittamiliba#| (January 2016), courtesy of the "A. O. San Giuseppe Moscati - Avellino"